Ore bodies discovered in the Mazvihwa district, Zvishavane town in South Southwestern Zimbabwe by Rio Tinto plc. Feasibility studies and pilot plant at Renco mine. Production commenced at Murowa Mine at 0.08M tonnes p.a DMS capacity. Process plant capacity increased to 0.2M tonnes PA DMS capacity. Crushing plant upgrade to handle the more competent kimberlite with pit depth. Increased DMS capacity to 0.6M tonnes PA DMS capacity. Surpassed the 1.0 Mcts mark cumulative since LOM. Q3 Murowa embarked on a brownfields process plant expansion study, code name Project Sunrise. Surpassed the 3.0Mcts mark cumulative since LOM. Project Sunrise Phase 1 saw DMS capacity increase to 1.2M tonnes per annum DMS capacity (qualifying Murowa as a Tier 2 diamond mine. 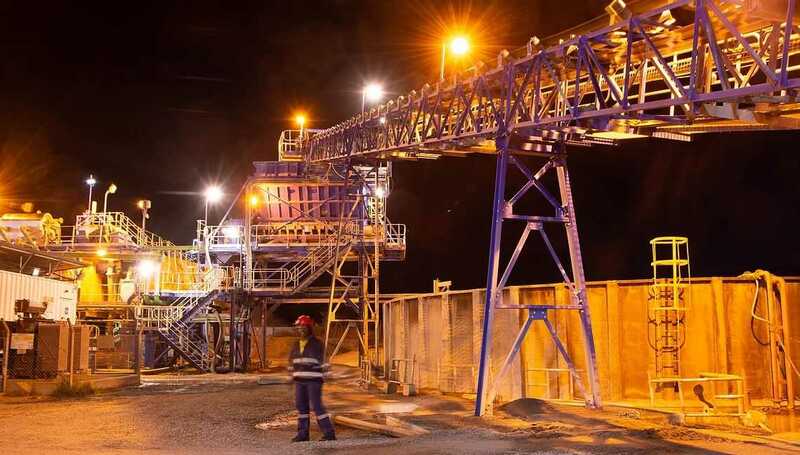 Project Sunrise Phase 2 and 3 saw DMS capacity increased to 1.4M tonnes PA DMS capacity. Surpassed the 4.0Mcts mark cumulative since LOM. Murowa resumes exploration of some key sites identified in the 1990’s. Comprises 3 economic Kimberlite pipes, discovered in the 1990s. Combine kimberlite pipe hectarage of approximately 6.3 Ha , containing a probable Diamond Reserve of 2.93 million carats. Mine production has been in 3 pits, with open pit mining design currently (2018) to depths of 155 meters over 14 years with capacity to process over 1 million tons per annum of ore.